SQL Server Standard is undoubtedly one of the best selling editions due to its cost-effectiveness and feature sets. Its bigger sibling, the SQL Server Enterprise Edition is more than 3 times the cost. In most cases, only large companies can justify its cost benefits. 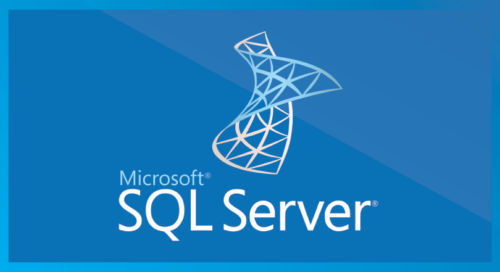 Since a lot of existing and potential customers look for SQL Standard functionalities, in this post I am going to talk about how to replicate your data to an Azure VM with SQL Standard. Support for multiple secondary Database Replica’s of up to 4. In SQL Server 2012 EE, can have 2 Synchronous and 2 Asynchronous replica’s. User can create multiple availability groups and multiple databases can be a part of a availability group. These availability groups can failover across the secondary replicas either locally or in a remote site. You can configure your backups to be run on any secondary replica’s of a database. Default backups on primary replica will still work. Supporting applications can do read intent queries on the secondary replicas. Can be implemented with no application changes required. Does not require a “shared storage“. This enables you to implement Availability Groups without purchasing expensive a SAN. 100% availability during all online operations. Availability Groups monitoring dashboard within management studio, new extended events & system center integration. Addition of Azure Replica Wizard for storing replicas on an Azure VM. You can have many availability groups still resource restrictions apply. No backups or read queries are supported. Software Assurance is required for server mobility rights. Provides a fault-tolerant database and hot Standby options to protect against database or server failures. Only synchronous full safety mode is supported. Asynchronous mode is not supported, thereby limited to local sites with low latency. The additional witness server is required for automatic failover. One of the best alternative for a real-time replication solution. 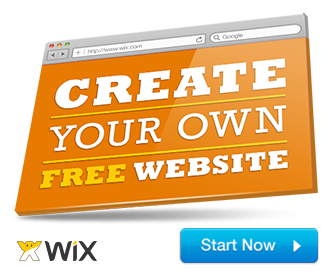 It is cost effective and has no requirements for specialized hardware. Completely Wizard based on straightforward setup and administration. Automatic, transparent client redirect support with .NET 2.0 and above. SQL Server 2008 onwards compresses the log stream from principal to mirror. Fail-over occurs at the Database level and not at the Instance or Availability Group level. Standard Edition is limited to 2-Node Clustering only. 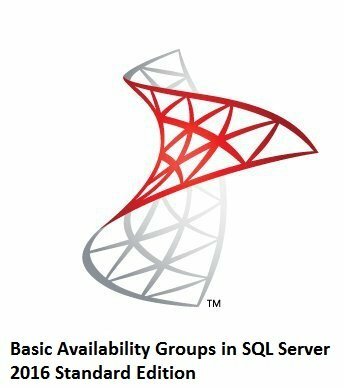 If you want Databases to failover in specified groups, consider implementing Availability groups. In order for “Automatic Failover” and “Transparent Client Re-direct” to work, you need to have at-least .NET 2.0 application and above. The Application connection string needs to be modified to mention a “Failover Partner” which will point to the secondary server. The secondary server, where the mirrored database is available, cannot be accessed by applications or direct queries. Only Database snapshots are allowed. You can query the mirrored database by taking a “Database Snapshot” and query the snapshot with is a “Point in Time” data. It is an Enterprise Only feature. If you want additional “Read Only” secondary’s, consider using Log-shipping along with mirroring in a hybrid approach. This is also supported in Standard Edition of SQL. Secondary Database on an Azure VM and the Primary Database running on-premises in the same Active Directory domain for a cross-site disaster recovery solution (A VPN Connection is required). You need to have an additional domain controller on an Azure VM. Unlike Database Mirroring, You can maintain multiple secondary servers and enable Read-only operations on them. Optionally, you can add a Monitor server to monitor the entire deployment setup and check for errors. It also records history and status of backup/restore jobs. You can set up the monitoring server to raise alerts when jobs fail. Log-shipping is not a Real-Time solution. The secondary servers will have a lag of several minutes or more between backup-copy-restore jobs. There will be an additional licensing cost if you want to use any of the Secondary servers for Read-Only or reporting queries. You can use Log-shipping along with Database Mirroring to achieve more than one secondary copy and read capabilities. For implementing Log-Shipping (& Mirroring), a “Full Recovery Model” is required, which can result in significant increase in Log File sizes. To counter this, backup maintenance jobs needs to be implemented with a proper “retention policy” for log files. There will be additional overhead for running the “Backup” “Copy” & “Restore” jobs, compared to Database mirroring which uses a lightweight endpoint log compression algorithm for its synchronization method. One server running in an Azure VM and the other running on-premises for cross-site disaster recovery. 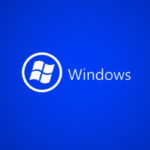 Log shipping depends on Windows file sharing, so a VPN connection between the Azure virtual network and the on-premise network. Note: For successful disaster recovery of your databases, you should also install a replica domain controller at the disaster recovery site(Azure). You have the options to either have an Azure SQL Database (PAAS) or a SQL Server on Azure VM. Note: You can only use Azure SQL DB as a Subscriber to the Primary On-Premises Publisher Server. SQL Server 2016 RTOM or CTP 3.0 and above.